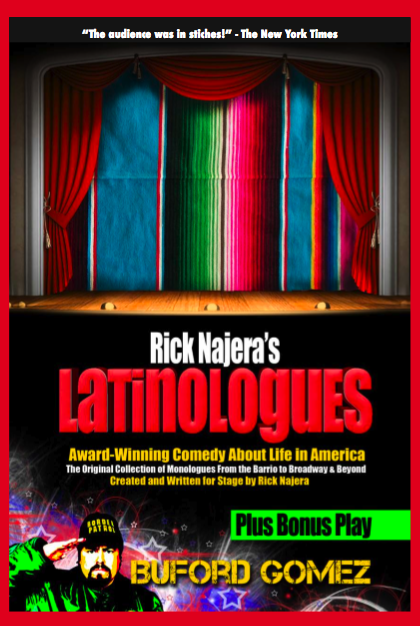 Latinologues™ is an award winning, nationally recognized collection of comedic and poignant monologues about the Latino experience in America that was created, written, directed and produced for stage by Rick Najera, one of America’s leading comedy writers. Having written for such ground breaking shows as MAD TV and In Living Color, Najera wanted to create a showcase for Latino talent. The idea was first conceived when Najera discovered a hunger for Latino actors to have a showcase, one where they could be seen in comedy. “So many times we’re seen as serious and dramatic but not funny, and comedy is universal,” said Najera. From headlining on the Las Vegas Strip, to standing ovations and sold out crowds, Latinologues™ has toured the nation and received rave reviews such as ‘Top Pick’, ‘Recommended’ and ‘Critics Choice’ from theater critics nationwide. The show has also received numerous accolades and official commendations from City Mayors and U.S. Senators for its production and was recently awarded an Imagen Award for Best Live Theatrical Production. Each monologue delivered is meant to educate, inspire and most of all make you laugh. The show is and remains to be a true service to the Latino community. Latinologues made its Broadway debut in September 2005 at the legendary Helen Hayes Theatre with an initial 12-week engagement, plus an additional four week extension by popular demand. The Broadway show was directed by the legendary comedian, Cheech Marin, and featured Rick Najera, Eugenio Derbez, Rene Lavan and Shirley A. Rumierk. Latinologues™ has provided education and employment to numerous actors and has launched the professional careers for dozens of Latinos. More than seventy different guest performers have participated in Latinologues™ throughout the years. 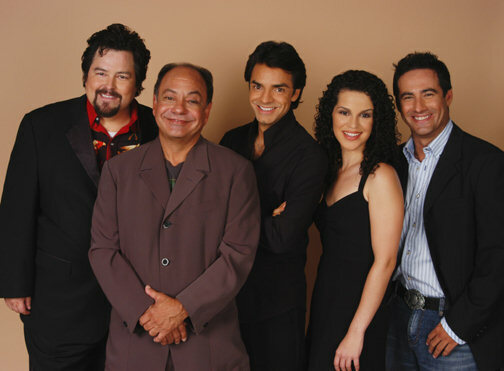 From the unknown to the famous, Latinologues™ has been home to such stars as Eugenio Derbez, Edward James Olmos, Jaime Camil, Cynthia Klitbo, Eric Estrada, Geraldo Rivera, Christina, Maria Conchita Alonso, Jacob Vargas, Mario Lopez, Tony Plana, Cristian De La Fuente, Fernando Carrillo, Rene Lavan, Yareli Arizmendi and dozens others. Latinologues™ has been featured around the country in cities such as San Diego, Los Angeles, Portland, Seattle, San Antonio, Dallas, Houston, Las Vegas, New York, Miami and at SiTVs Latino Laugh Festival, on Showtime’s Latino Laugh Festival, HBO’s Aspen Comedy Festival, The Big Stinkin’ Comedy Festival in Austin and the Festival of Independent Theaters in Dallas for which it was named “Most daring production”. There have been productions at two Tony Award winning theaters, South Coast Repertory Theater in Costa Mesa and the Victory Gardens Theater in Chicago. Latinologues™ has also been performed at numerous fundraisers to benefit non-profit organizations. The show has been a favorite across the nation for years with a rotating cast performing monologues that keep the show fresh. Released by Image Entertainment, Latinologues™ DVD Volume 1 & 2 are available in stores or via the internet. Visit http://www.latinologues.net for more information.